Firstly, I'd like to apologise that all my looks are kind of similar at the moment, and I promise to have a different variety of looks coming soon! But because it's getting very close to christamas, 17 days to be precise! I thought it would only be right to bring out my velvet dress, because what really is christmas without a little velvet in a girls life? Although I may be saying that now, I used to absolutely hate velvet, just the feel of it would send shivers down my spine, but I after purchasing this dress my mind was changed. 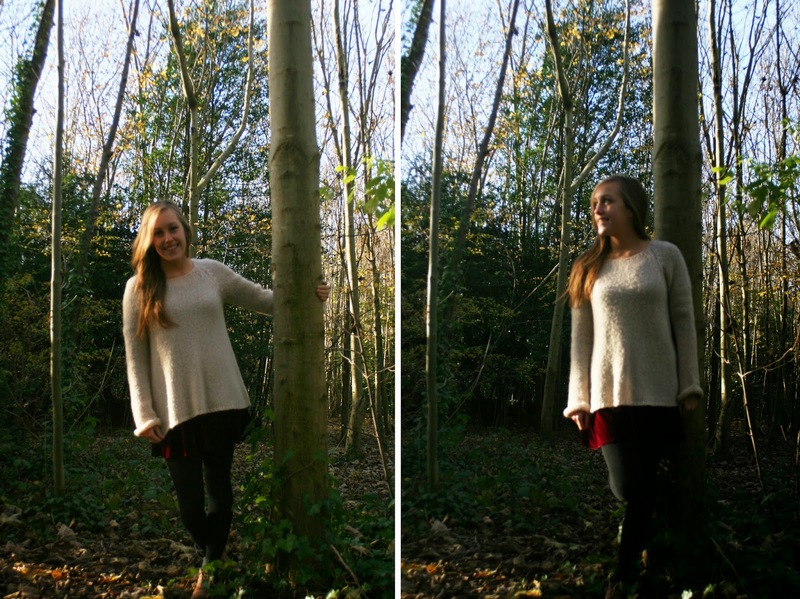 It is so warm and by adding a big slouchy jumper only adds extra warmth, which is perfect for cold weather like we get in England. And lastly, where would I be without my trusty topshop boots that have seen me through a very cold spring and are now coming back to help me with winter months, I have loved these boots since day one and usually I am very picky when it comes to boot buying. On this occasion I took a trip up to London with Sam and his family to visit winter wonderland. I'd been wanting to go for absolutely ages, so when Sam's mum asked if I'd like to go, I of course jumped at the chance. I didn't really know what to expect, but all I know is that on the train journey up I felt like a child, full of excitement and I was not disappointed when we got there. The smell of sweets filled our noses and I couldn't help but jiggle to the music (not all christmas related) as we wondered through admiring the german christmas markets and craning our necks to get a better view of the rides towering above us. We wanted to get our bearings and because we had booked to go ice skating and into the Magical Ice Kingdom we searched for those. We went on a ride (a little like the crazy mouse on Brighton pier, if anyone of you have been) that chucked us from side to side of the carriage as we went whizzing round bends and down little drops, we also sat in a bit tent that looked like a huge cabin and drunk mulled wine with ameretto to warm our tummies as we listened to people come on stage. After all of that excitement it was time to go ice skating, which I was little nervous about due to the last time I had ice skated I had ended up winding myself. Sam was very patient with me as he held my hand during the circuits round the ice rink, both of us not very confident skaters, while his mum and aunty kept speeding past us. With all that ice skating we had worked up an appetite and so searched for places to eat and waited for our turn in the Magical Ice Kingdom. 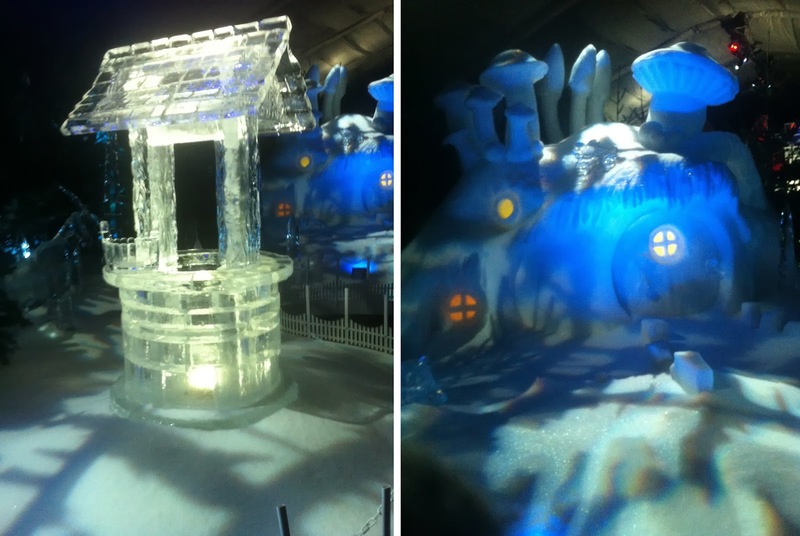 The Magical Ice Kingdom was amazing! But also absolutely freezing, while waiting to go down the ice slide my tootsies started to hurt and go numb, even with two pairs of tights and socks on. Still the sculptures were so clever and beautiful, my favourite was definitely the swan. During our wait for the slide, Sam and his dad decided to try and warm up the castle we were standing on to try and get money that people had stuck into the ice which was highly amusing. On the way out you could stop at the ice bar if we wished, even the menu was in ice! but we were far too cold so we rushed out and to our surprise it felt so warm outside and my feet warmed up in no time! 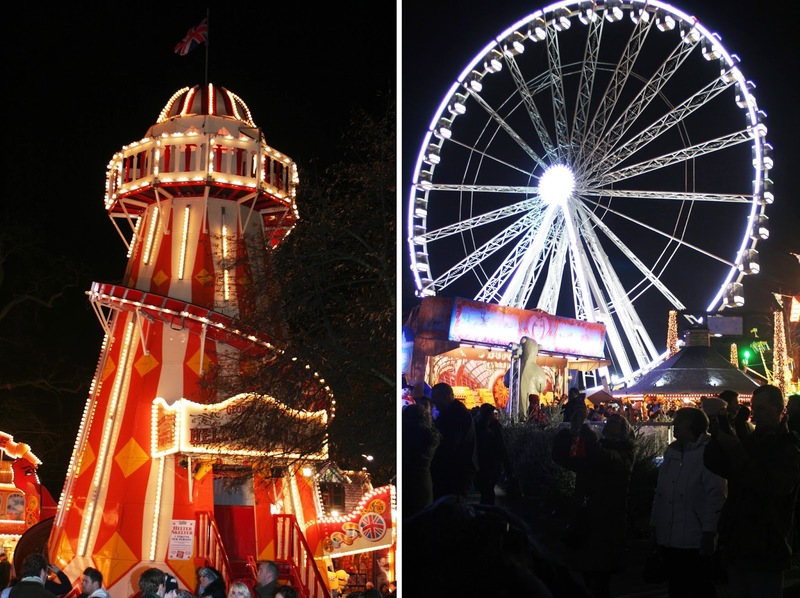 I apologise if this post is a little photo heavy, it was just too hard to pick just a few photos from Winter Wonderland. Omg, I LOVE LOVE LOVE that skirt!!! I want one just like it!! I love your blog, you have amazing style. :) I'm a new follower! I love it too, it's just perfect for the winter season! and thank you very much for the compliment, and the follow.